Roma is a Mexican film about the life of a middle-class family in Mexico City during the early 1970s, and the story of their dedicated and loving maid. Many films use a sense of nostalgia in portrayals of times gone by, but few do it in quite as powerful fashion as Alfonso Cuarón’s Roma. A deeply immersive film at every moment, perfectly capturing the time period and pulling you in right from the start, Roma is a slow and patient drama that you just can’t take your eyes off, something that’s furthered by exceptional cinematography, wonderful performances, and a slow-burn but deeply emotional story throughout. Now, when I say nostalgia, I don’t just mean that Roma is full of 70s clichés to make the setting look convincing, I mean that a deep passion and personal attention to detail has gone into every single frame of the film, something that lends it an extraordinary depth of emotion and beautiful authenticity in a way that I’ve very rarely, perhaps never, seen before. As a semi-autobiographical story written by Cuarón himself, the film is clearly influenced by the director’s memories of his childhood, as we see loving attention paid to the smallest of details throughout, yet it’s that very practice that makes Roma such a moving and genuine film. 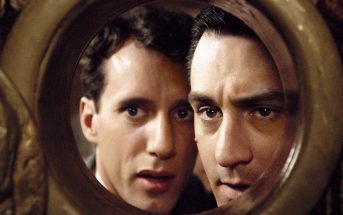 Whether it be the small quirks of the family dog, the awkwardly tight driveway next to the house, or the everyday arguments between siblings, it’s evident at every moment that this is a film with a deeply personal core, and through all of those tiny details, it helps you to relate all the more to the story being played out before you. And then we have the story of the maid, Cleo, played beautifully by Yalitza Aparicio. Once again, the portrayal of her dedicated, kind-hearted and loving character is something that very likely comes from Cuarón’s own experience, so tender is the presentation and appreciation of Cleo throughout. That, combined with Aparicio’s wonderfully understated yet endlessly likable performance, allows for Cleo to really stand out on screen, even if she is a woman of few words. You may think at first that Roma is a little slow and a little too quiet, but it’s the patient and elegant build-up over the course of the film that really makes it worth it, and particularly in the case of Cleo, we see someone who you may think of as perfectly ordinary, but the film does an incredible job of showing how extraordinary she can be at times. On the flipside, the film isn’t without its darker moments, and while the nostalgia and very intimate portrayal of the family is undoubtedly Roma’s most moving element, the story further emphasises the importance of familial bonds through its portrayal of the more difficult moments in life, coming to a head particularly towards the final act. What’s great about Roma is that it isn’t a showy drama. Like I’ve said, it’s all about the little things that add up to make it such a moving watch, and even when we do witness some deeply heartbreaking moments, the film keeps its feet on the ground and allows you to retain the same connection with the characters, no matter whether there at the highest of highs or lowest of lows, something that the screenplay does absolutely amazingly. The other most noteworthy part of Roma is its incredible visuals. Black-and-white cinematography is always used for a reason nowadays, and crafting a nostalgic vision of the past is one of its strongest suits, as is clearly proved here. What’s more, however, is that the rather bright and stark contrasts of the black and white on screen are clearly indicative of the joys and suffering in both this family and the wider community’s lives, and the use of that simple yet striking colour pallette from the start really helps to establish an atmosphere that allows for both immense joy and deep heartbreak to really move you. Also, in keeping with the understated tone, the film features some beautifully elegant camerawork that further immerses you in the setting, with slow yet dynamic pans across rooms and city streets, starkly powerful long take sequences, and a continual focus on Cleo, keeping her in frame for the majority of every scene she’s a part of, further deepening the emotional connection with her that makes the story so engrossing. Briefly, if I were to have one problem with Roma, it would be that it’s not the most widely accessible film. As a very personal and intimate piece, Alfonso Cuarón puts a lot of focus into the little things that make up the family in the story, however there is less attention paid to the wider socio-political context of the time, something that can occasionally leave you a little confused if you don’t have a strong knowledge of modern Mexican history and culture. Contemporary politics and culture of course play a role in the story, however Roma is a film that focuses on a more normal story that ends up passing through moments of wider significance. 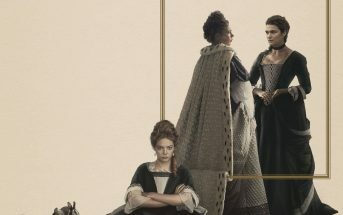 Overall, it’s far better that it does exactly that, as it cements the deep intimacy you feel with the characters on screen, further immersing you in the time period, but (like me) if you’re not of Mexican heritage, or are rather unaware of what was going on during the early 1970s in the country, then the film can often prove a little inaccessible to really get to grips with. 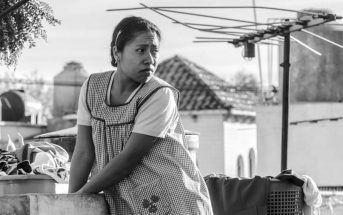 On the whole, however, Roma is a truly wonderful film that surpasses so many others in its use of nostalgia and memory, totally immersing you in its time period, and allowing you to develop an unbreakable emotional bond with its main characters, particularly Cleo, played in beautifully understated fashion by Yalitza Aparicio, and furthered by endlessly elegant visuals, the film is a deeply engrossing watch from start to finish, and that’s why I’m giving it an 8.1.